Since 1956 the Compline Choir has filled St. Mark’s Episcopal Cathedral in Seattle, WA with the uplifting holy sounds of chant. The service happens at 9:30 p.m. every Sunday. It is only 30 minutes long. There are no sermons, no priests – just readings of psalms and some thoughtful musings interspersed between an incredible, soothing, peace-inducing sound. This YouTube video, The Compline Choir at St. Mark’s Cathedral (Seattle, WA), was published in 2014. It was the first one to be produced and commissioned by the Choir and gives you a taste of what they do. Chanted prayer is an ancient tradition, one that modern-day science has found is good medicine for the body and for the mind. Dr. Alan Watkins, a neuroscientist and co-founder of Complete Coherence, a European business leadership development firm, has explored many different ways to help clients maintain high levels of performance during challenging and stressful times. 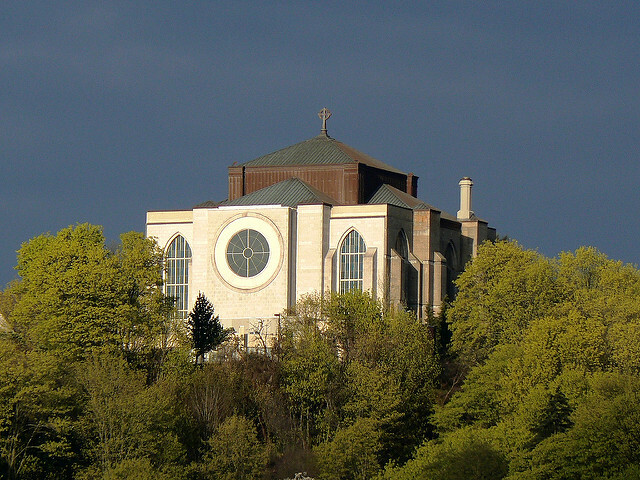 Watson and his team followed five monks at Heiligenkreuz Abbey, a Cistercian monastery in the village of Heiligenkreuz in the southern part of the Vienna woods, north-west of Baden in Lower Austria. The monastery, founded in 1133, is the oldest continuously occupied Cistercian monastery in the world. The monks are famous for their Gregorian chants. The scientists followed the monks around and measured their heart rates and blood pressure throughout a 24-hour period. The heart rates and blood pressure numbers dipped to their lowest point in the day when the monks were chanting. Dr Watkins pointed to similar previous studies documenting the neurological effects of sound supported their findings that chanting seems to lower blood pressure, increase performance hormone levels as well as reduce anxiety and depression and improve mood. One remarkable story is the one French audiologist, Dr. Alfred Tomatis tells in a 1978 documentary called “Chant.” The good doctor was called in to help the monks of a Benedictine monastery who were suffering from deep fatigue, depression and physical illness. The doctor found that the sad, sick monks had been complying with a new church edict that had halted the centuries-old practice of chanting prayers throughout their day to mark their connection with the Divine. When Tomatis convinced the monks to re-establish their rituals of prayer, the religious community regained its vitality. The monks were healthier and happier. Not only is chanting beneficial, but it seems that just listening to chanting can be good for your health. Some scientists believe music can stimulate the production of endorphins—natural opiates known to generate feelings of excitement and satisfaction. It’s also possible, they say, that music helps the left and right hemispheres of the brain communicate more effectively and that it creates new neural pathways in the brain. Benedictine nun, Sister Ruth Stanley, who is the head of the complementary medicine program at Central Minnesota’s Heart Center at St. Cloud Hospitals, found that having her patients listen to chant helped to ease chronic pain. Listening to the Compline (and to other forms of chanting as well) can foster inner peacefulness and healing, it seems. The Compline has its roots in the everyday life of medieval Catholic monastics. It is the last service in a cycle of “offices” or “hours” sung in the Western Church throughout the day, the prayer before going to bed. 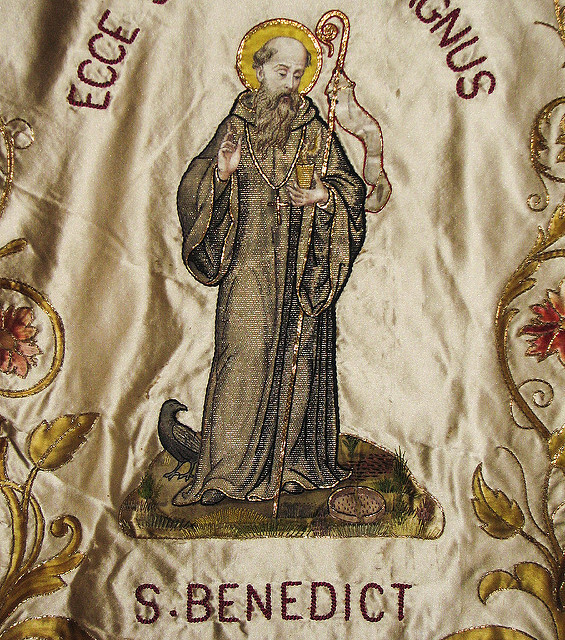 Residents in the monasteries were more isolated from the world than those living in convents and friaries, who spent their days doing good works in their communities, but all of them prayed separately and together throughout the day, reciting formal sets of prayers and meditations created by the leaders of their various orders. The timing and the formats of the monastic prayer services that marked the divisions of the religious day evolved as leaders of the various religious groups set up rules for how their followers should live and work and pray. Much of it was pretty much standardized for the different religious communities in the west by the fifth century. During medieval times (and pretty much into the 20th century) each religious day was divided into eight parts (also known as canonical “hours”). The set prayers for each of these divisions made up the Liturgy of the Hours. Lauds (morning prayer) sanctified the morning, preparing the inhabitants for the day. In medieval religious communities, that day started very early. Terce (mid-morning), sext (midday), none (mid-afternoon) were known collectively as the “Little Hours”. They were celebrated with short prayers intended for use during breaks in manual or scholarly work. Vespers (evening prayer) was for coming together to give thanks for the blessings received during the day and for work done well. Compline (night prayer) was designed to be said as the last prayer before going to sleep. It starts with an examination of consciousness and includes a contemplation of mortality and a prayer for inner peace. This service of quietness and reflection before rest completed the day for the religious. In certain monasteries, it marked the beginning of a period of silence observed by the whole community (including guests) throughout the night until the morning service. The Night Offices (also called Vigils, and, in more modern times, Matins) were performed very early in the morning while it was still dark. During this time you were supposed to contemplate the mysteries of salvation. In some of the more rigorous monasteries, the monks were supposed to get up in the middle of the night to recite these prayers and to meditate. There was one other “hour” called Prime, which was celebrated between Lauds and Terce. Around the year 382, it seems that in at least one monastery there were some monks who couldn’t get up for their morning prayers after spending half the night doing their Vigil practice. To keep the monks from staying in bed until mid-morning instead of getting up to start their day, all of the monks were called together for Prime when they prayed together before heading out to do their tasks. The practice proved to be effective and was adopted by other monasteries. Until the 20th century, the Compline was pretty much unknown to the general public and worshippers who were not a part of a monastic community. St. Mark’s Compline Choir and the Compline Service was the brainchild of American composer and liturgist Peter Hallock (November 19, 1924 to April 27, 2014) who was organist and choirmaster at the St. Mark’s Cathedral from 1951 to 1991. 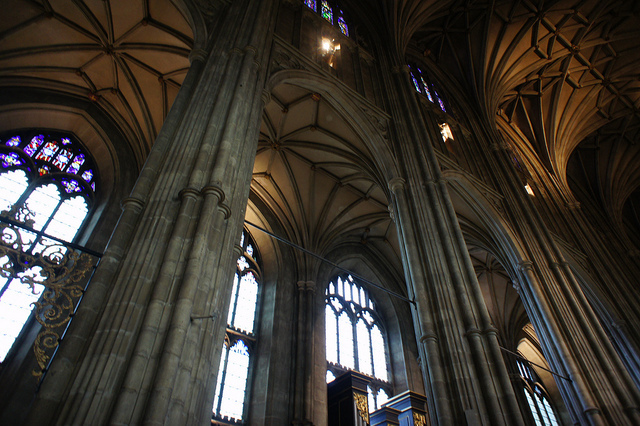 When he attended the Royal School of Church Music in England, from 1949 to 1951, Hallock was one of the few American students allowed to chant the Office of Compline with fellow classmates in the crypt of the Canterbury Cathedral. 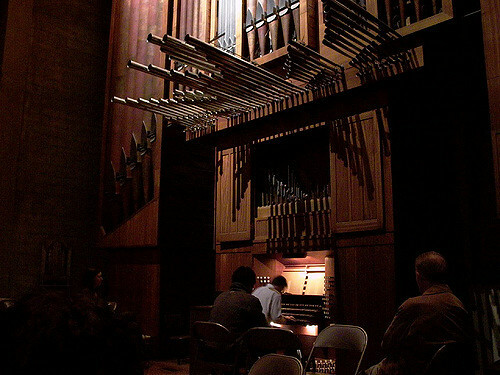 When Hallock became the organist at St. Mark’s Cathedral in Seattle, he invited twelve music students from his alma mater, the University of Washington, to gather at the St. Mark’s to study and sing plainsong. Their text was from the Proposed Book of Common Prayer (1928) of the Church of England, set to medieval chants. By late 1956, this study group evolved into the Compline Choir. Not all of the choir members were religiously oriented. They were, however, excellent musicians and they loved liturgical music. The all-male group grew in number as they began singing the Office of Compline for others on Sunday nights. It was the first offering of the Office in English on a regular basis (outside of Anglican monasteries) in North America. For a number of years they sang to an empty church. 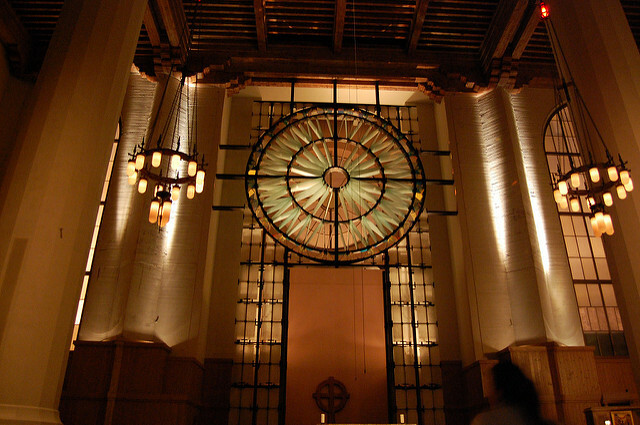 Starting in 1962, the St. Mark’s Compline service was broadcast live over the radio on KING-FM. Perhaps that is why when the “Summer of Love” in the late 1960’s turned young people’s minds towards more spiritual practices, colorfully dressed young people discovered the beauty and peacefulness of the Compline, and began attending the service at St. Mark’s in droves. The congregation grew, practically overnight, from zero attendance to several hundreds packed into the church. Hallock led the Compline Choir from 1956 to 2009. (The choir is now directed by Jason Anderson, who joined the choir in October, 2004.) The services continue to be well-attended and thousands more tune in to the radio broadcast or listen via the Internet. 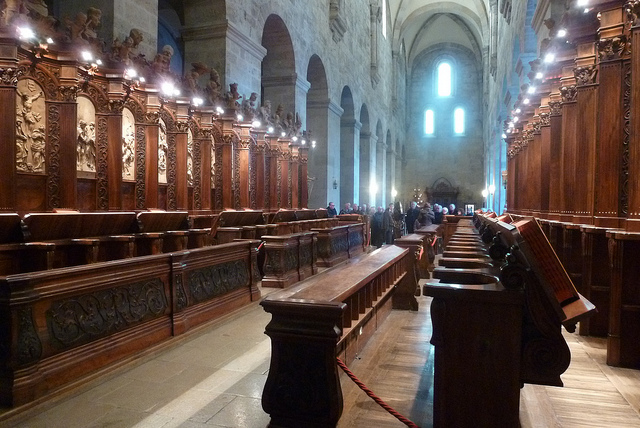 As time went on, a renewed interest in plainsong and other forms of liturgical music as well as the Compline grew. Over fifty groups now offer a regular Office of Compline in the United States and Canada.. The once-obscure medieval religious service has become a regular spiritual practice for many modern people. It is also a lovely way to help yourself get to sleep. Composer Peter Hallock talks about his music and his experiences at St. Mark’s Cathedral in this YouTube video published by Markdavin Obenza in 2013. The video features session footage and music from the Byrd Ensemble’s CD release, Peter Hallock: Draw On Sweet Night. Gimme, do me, want me, honey! Melting down your heart, yeah! It’s a soul thing, don’t you know? Much at all, at all. But we keep doing it, yay! We keep on doing, doing, doing it…. Thank you for your visit. I’d appreciate it if you would drop a note or comment below and tell me your thoughts.